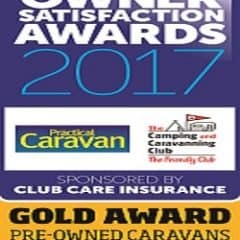 We are delighted to announced that the Swindon Caravans Group have been awarded gold and silver awards at the 2019 Owner Satisfaction Awards for supplying dealer of pre-owned & new touring caravans respectively in the UK. These awards are voted for by our customers so they really mean a lot. 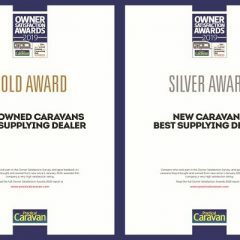 It is a fantastic achievement and backs up the awards won in 2016 & 2017 when we won the categories for best supplying dealer of new & used caravans respectively in the UK. We would like to say a huge THANK YOU to all of our customers who have used and enjoy the service we provide. And a special thank you to all those who voted in these awards, it really is appreciated. Here is a link to the 2018 Practical Caravan Owner Satisfaction Survey. We would be appreciative if you could offer us some important feedback, to help us improve our service and product offering in the future. It should only take a few minutes to complete. If you like what we have to offer – our choice of new & used caravans, awnings, accessories, workshop facilities and customer care – then we would appreciate your vote. 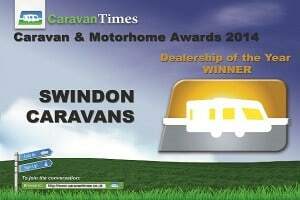 Thank you once again for your continued support from everyone here at Swindon, Oxford & Reading Caravans. 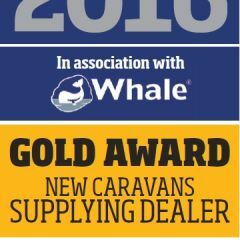 In 2016 Oxford Caravans won best supplying dealer of new caravans in the country. The Group then followed this up by winning 2017 best supplying dealer of used caravans in the country! It would be great if we could replicate either of those feats and achieve gold once again. 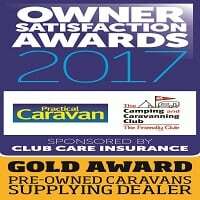 We are delighted to announced that the Swindon Caravans Group have collected another award: 2017 winner for best supplying dealership of pre-owned caravans in the UK for 2017! We achieved a satisfaction score of 89.1% which is a fantastic achievement! 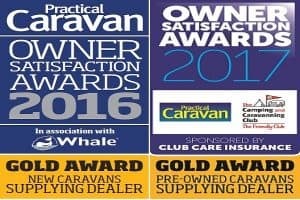 The prestigious 2017 Owner Satisfaction Awards, hosted in partnership with both the Camping & Caravanning Club and Practical Caravan, took place in Manchester in January 2017 and it was revealed that the group had beaten off some stiff competition to win the award. This achievement is reward for all the hard work and effort put in by all the staff across the 3 branches. 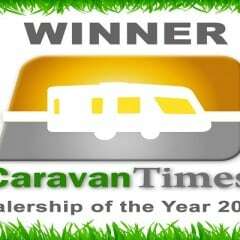 And of course backs up our win last year for best supplying dealer of new caravans in the country in 2016. We would like to thank all of our customers and of course everyone who voted for us in these awards. It is very much appreciated and we hope that you will continue to enjoy the service we provide. Oxford Caravans WINS category for best supplying dealer of new caravans in the country! Congratulations to everyone involved in a fantastic achievement. Reading Caravans also achieves gold as a supplying dealer for new caravans. 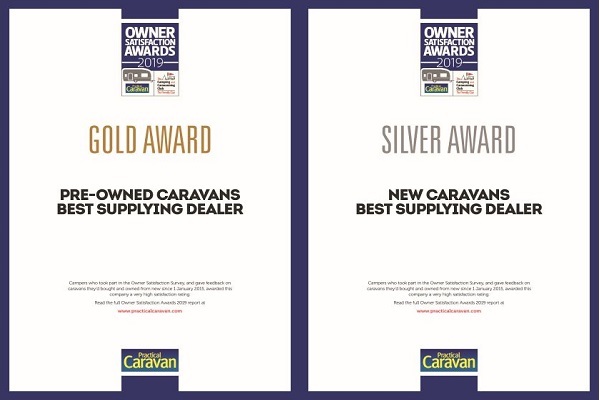 Swindon Caravans just misses out on gold but still achieves an excellent Silver award as a supplying dealer for both new & pre-owned caravans. 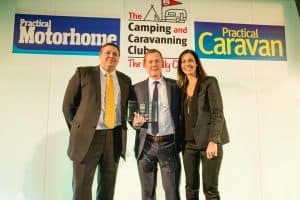 Meet the Winners – Alistair’s Interview with Practical Caravan – Click the attachment to view Oxford Sales Manager Alistair’s interview with Practical Caravan. Thank you to all our customers who voted for us in the recent 2015 Practical Caravan Owner Satisfaction Survey. 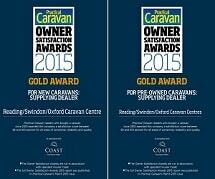 We achieved a Gold award for BOTH new and pre-owned caravans! A fabulous achievement from everyone involved! 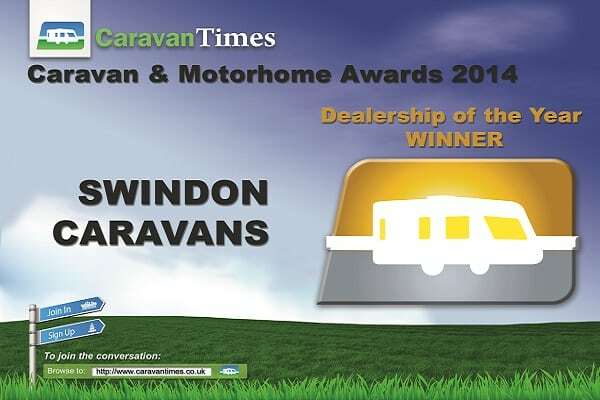 We are delighted to announce that the Swindon Caravans Group won Dealership of the Year 2014 in the recent Caravan Times awards. This is a fantastic achievement from all concerned and we would like to thank all of our customers who voted for us. We are constantly trying to improve our service so it is great to be recognised for our efforts. Lets hope we can repeat this success in 2015.